One of our ongoing strengths as a chemical distributor in Mexico is our agile logistics network, further bolstered by our ISO 9001:2015 certification, which gives us the ability to quickly and efficiently supply our customers, be founded upon our quality management system and continuous improvement processes adding creativity, innovation and passion for service at all times. We are immensely proud to be a great place to work certified by the Great Place to Work® Institute. 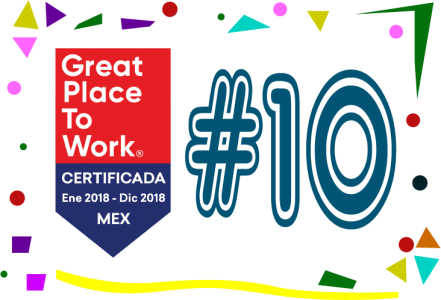 Since 2012, we´ve been designated as one of the best companies to work for in Mexico and this year we made the top ten as a result of our ongoing efforts to train and develop our personnel, which we believe is the single-biggest driver behind our consistent, sustainable growth. As a consequence of our team´s commitment to our customers´ success, we continuously adapt our service to best meet the needs of each customer.